Len Bilén's blog, a blog about faith, politics and the environment. – Page 328 – “There are three things I have learned never to discuss with people…religion, politics, and the Great Pumpkin.” Linus from Peanuts. Obama’s accomplishments, wood hay and stubble. A Limerick. Obama, our President gets us in trouble. The debt to our children is poised for a double. it just does not jive. 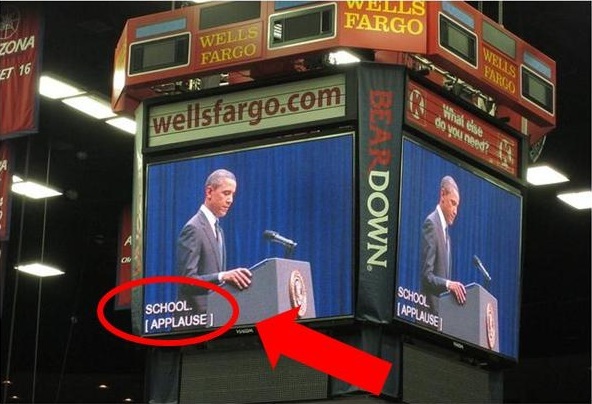 Obama’s accomplishments? Wood, hay and stubble*. *Quote from the King James Bible 1 Corinthians 3:11-13 For other foundation can no man lay than that is laid, which is Jesus Christ. Now if any man build upon this foundation gold, silver, precious stones, wood, hay, stubble; Every man’s work shall be made manifest: for the day shall declare it, because it shall be revealed by fire; and the fire shall try every man’s work of what sort it is. Posted on January 31, 2012 January 31, 2012 Categories limerick, Obama, PoliticsTags Debt, faith, Limericks, Obama, politicsLeave a comment on Obama’s accomplishments, wood hay and stubble. A Limerick. Memorial service t-shirts and applause. A Limerick. Some thoughts on the memorial service for the victims of the Arizona tragedy Jan 2011. Now what do you think? Does Obama have taste? A memorial service is no time to waste. 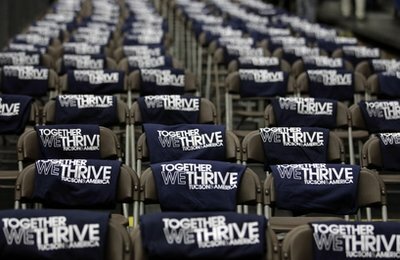 and t-shirts, applause signs prepared in all haste. Posted on January 31, 2012 March 31, 2013 Categories limerick, Obama, PoliticsTags Arizona tragedy, Limericks, Obama, politicsLeave a comment on Memorial service t-shirts and applause. A Limerick. 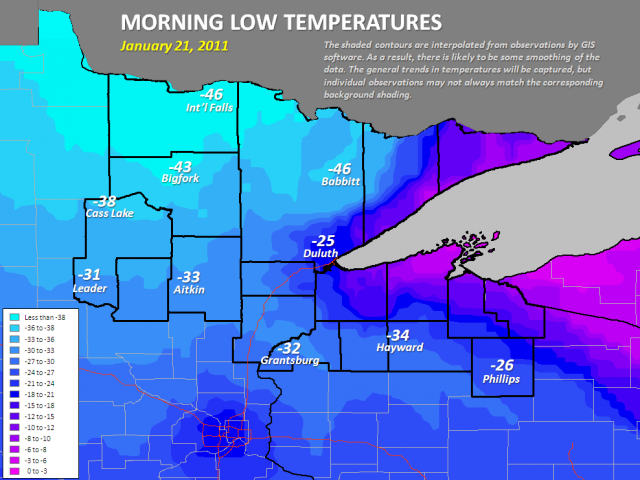 Posted on January 30, 2012 Categories climate, environment, limerickTags Christianity, climate challenge, Global Climate Disruption, Global Warmimg, Limericks1 Comment on Minnesotans for global warming rise up! A Limerick. My testimony on time and space, eternity and the eternal covenant. “The Grand design”. Here I was, age 32, gloriously saved by reading the book of Matthew and seeing the honesty of the words “that deceiver” suddenly convincing me that Jesus Christ is risen. But how do I reconcile that with my belief that God is outside time and space, if he exists at all? Not only did I not know the answers, I did not even know the questions. I started listening to a Christian radio station going to and from work. There was a preacher that came on every day at the same time. “God wrote only one bible, the King James Bible”. He ranted and raved about all other translations and how they were of the devil. I might remember wrong, but at one time I think I heard him say “If it was good enough for the Apostle Paul, it is good enough for me.” Being a Swede I found it puzzling. What about the original language? As a ten-year old I had heard of the Dead Sea Scrolls and how they had found a complete scroll of the Prophet Isaiah. I got excited. But then I read it was a later copy. Ah well, it was a nice thought I thought and lost interest. But now I did read up on the Dead Sea Scrolls. They were written at about 160 B.C. and had pieces of most of the books of the Old Testament. And there were very few changes. The text had been preserved all these years, and was written before many of the prophesies were fulfilled. This excited me, for that would be possible only if God is outside time and space. Maybe I could reconcile my beliefs with that of my newfound friends after all. They kept telling me that Jesus is God, but I still found that hard to swallow. A good man, yes, but not God. The other thing I had a hard time reconciling was creation and evolution. Being a scientist and engineer I was a firm believer in incremental development and incremental improvement, and the Bible talked about a divine action that created it all, just like that. I enjoyed the fellowship, sang in the choir, did all the right things, but I could not witness to anyone except other believers for I had still too many questions myself. But one thing stood out. You cannot get something from nothing, and therefore we could not possibly exist. But we do. How is that? And what does the story of creation in the Bible have to do with anything? The events of Jan 2011, the shooting in Arizona, affected me deeply and I decided to finally write down my testimony. But I left out the part of the Grand Unified theory and M-theory for in so doing I would lose most of my audience. For others here it goes. Having struggled with Hilbert space in college and given up once the math required exceeded my willingness to put up with all the levels of abstraction etc. I got excited when they reported the most powerful cosmic radiation ever recorded coming from the Crab nebula. The radiation particles have an energy that contain 1000 times more energy than we can hope to achieve with the Super Hadron Collider. 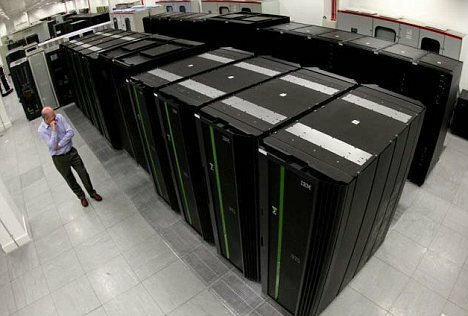 Maybe we can test the 11 dimensional string theory after all? This will strengthen my belief in God (for most it would go the other way, but be patient). The other thing reported recently is the generation of anti-matter in thunderstorm clouds. There are positrons generated that escape into space. Why is that important with respect to the Bible? It clearly states there was a beginning. Stephen Hawking maintains in “The Grand design” that the universe arose from nothing out of a singularity. For some reason he thinks that disproves the necessity of God. My take is the exact opposite. It strengthens my belief. Back to the new Christian. I read the whole Bible, The King James, The New International Version, The Swedish Bible, and Martin Luther’s new German Bible, but the questions remained. Then I took another leap of faith. I accepted that God cares about His creation. This seems to be the overarching theme of the Bible, even with all its bloody parts in the Old Testament. I agree, looking around you it doesn’t seem that way, but I decided to ponder on the positive rather than the negative. Looking at both my wife’s transformation and my own , decided to stick to the beauty and purpose I started to see in everything once I had made that decision. So what about the question of time? To my surprise the Bible is full of hints. There was a beginning of time: 2 Timothy 1:9 He has saved us and called us to a holy life—not because of anything we have done but because of his own purpose and grace. This grace was given us in Christ Jesus before the beginning of time, Titus 1:2 in the hope of eternal life, which God, who does not lie, promised before the beginning of time. The discerning observer will notice the word before the beginning of time, which is before. What was before? The bible has an answer for that too. In Hebrews 11:2 we read: By faith we understand that the universe was formed at God’s command, so that what is seen was not made out of what was visible. A little bit later , in Hebrews 13:20 we read: Now may the God of peace, who through the blood of the eternal covenant brought back from the dead our Lord Jesus, that great Shepherd of the sheep, … If it is eternal it had no beginning, or existed before the beginning. That doesn’t make sense. Then I read in Revelation 13:8: All inhabitants of the earth will worship the beast—all whose names have not been written in the Lamb’s book of life, the Lamb who was slain from the creation of the world. In John 17:24 we read: “Father, I want those you have given me to be with me where I am, and to see my glory, the glory you have given me because you loved me before the creation of the world. In this statement Jesus clearly states that the love of the Father for his Son existed before the creation. Why did they try to stone him? Because they understood in saying “I am” which is the covenantal name YHWH, in reality its equivalent name in Aramaic, (the Hebrew name in that time and even today for some Orthodox Jews is too holy to even pronounce) Jesus made himself YHWH. This was blasphemy of the highest order! So there it is. Either Jesus is God or he is a false teacher, a pretender and imposter. And then there is the spirit, the Holy Spirit. Was He there from the beginning? Genesis has an answer for that too. Genesis 1:2 states: And the Spirit of God moved upon the face of the waters. Now back to the Eternal Covenant. It must have been formed before the beginning. But who participated? There were no one to form the covenant with. The only thing possible is if it was made between the Father, the Son and the Holy Spirit. What was the blood that sealed the covenant? It was from the Lamb slain, that is the Son, before the beginning of time. In a wonderful way this makes sense to me. God is beyond time and space, but at the same time He is now in both time and space, being omniscient (knows all, past, present and future), omnipresent (everywhere at the same time). As Creator He is all powerful. It was done in eternity, but for our sake, we who are confined to the prison of time and space, it had to be repeated on earth. The only way to do it was to become a man. Genesis 1:27 says: So God created man in his own image, in the image of God created he him; male and female created he them. (Note, gender has nothing to do with it, since the image of God is both male and female) But to retain the property of being fully God he had to be born supernaturally, of a virgin. The Prophet Isaiah (around 700 B.C.) wrote in 7:14 Therefore the Lord himself shall give you a sign; Behold, a virgin shall conceive, and bear a son, and shall call his name Immanuel. Immanuel means God with us. Unto us a Son is given, this points to his divinity. And His name shall be called. Note the name is singular and broken into 4 parts. Wonderful Counselor. This refers to the Holy Spirit. The mighty God. (El Gibbor) The only other time Mighty God is mentioned is in Is 10:21, and there it is clear that it refers to God the father, but here it can also be interpreted mighty man, God. The everlasting Father. This is Jesus favorite term for his divine father. The Prince of Peace. Refers to Jesus Christ. This is as good a reference to the triune God as I can find in the Scriptures. Later in Isaiah 53 the Blood of Messiah and the crucifixion is described – 700 B.C. not an after-construction as was prevailing biblical thought until 1948, before the Dead Sea Scrolls were found! This leaves us with the nature of the Holy Spirit. Jesus says in John 17:5 And now, Father, glorify me in your presence with the glory I had with you before the world began. And in John 14:26 But the Advocate, the Holy Spirit, whom the Father will send in my name, will teach you all things and will remind you of everything I have said to you. There we have it. God existed before the beginning of time as God, the Father, as God the Son in the person of Jesus Christ, and as God, the Holy Spirit, all coexisting before the beginning of time. This is the essence of the eternal covenant, sealed with the blood of Christ. I have decided to accept that. Thus it is perfectly clear that God created the universe out of nothing. It came mathematically from a singularity, the math exceeds my ability to understand it, but I am locked into time and space and can only understand so much. However I rejoice in the fact that when I received Jesus Christ, I received Him in the form of the Holy Spirit. Just think of it. I have eternity in my heart! Posted on January 30, 2012 Categories Christian, faith, testimonyTags Christianity, faith, regulation1 Comment on My testimony on time and space, eternity and the eternal covenant. “The Grand design”. Jeffrey Immelt, Crony Capitalist. A Limerick. Obama names GE CEO as head of new economic board From Michael O’Brien – 01/21/11 The top executive at one of America’s largest corporations is taking over as head of President Obama’s outside economic advisory council. 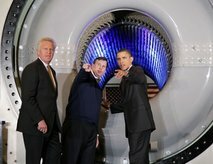 Obama named Jeffery Immelt, the chief executive officer of General Electric (GE), as chairman of the new Council on Jobs and Competitiveness. The president announced the appointment during a Friday trip to Schenectady, N.Y., where he visited the birthplace of GE, the fourth-largest U.S. company, according to Fortune magazine. Immelt replaces Paul Volcker, the former chairman of the Federal Reserve Board, who will step down from his post as head of the Economic Recovery Advisory Board, an outside panel recommending solutions on how best to boost the economy. 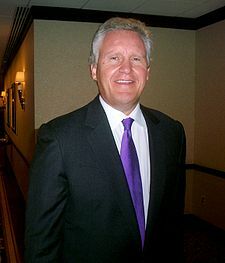 Immelt had previously served as a member of the board, which includes prominent business and labor leaders. Appoint Jeffrey Immelt, Barry’s old protegé. But promoting this President, that’s his forté. Posted on January 30, 2012 February 3, 2012 Categories limerick, Obama, PoliticsTags Jeffrey Immelt, Limericks, Obama, politicsLeave a comment on Jeffrey Immelt, Crony Capitalist. A Limerick. 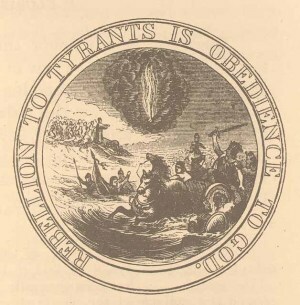 Posted on January 30, 2012 Categories Christian, faith, limerick, PoliticsTags Christianity, Civilization, Constitution, faith, Limericks, politics2 Comments on Rebellion to Tyrants is Obedience to God.